Quarter-final of the search for the country's next culinary superstar. The chefs' pastry skills are tested in the invention test. In this quarter-final, the best six chefs from the week's heats return to face two more demanding challenges set by judges Monica and Marcus. 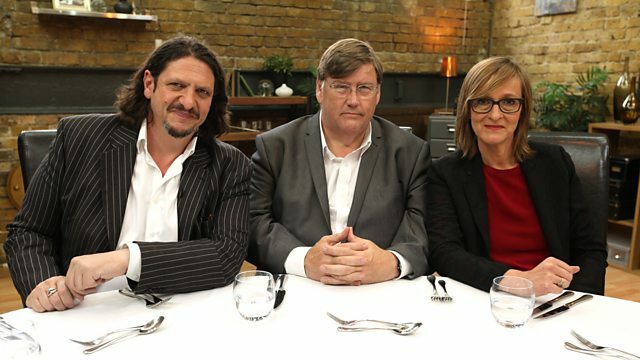 First, they face a notorious MasterChef invention test before the strongest four continue on to cook their menus for the country's top restaurant critics. Only the three best chefs will continue on to Knockout Week. In the first challenge, the quarter-finalists face their first invention test of the competition, and this time the judges have chosen to test their pastry skills. The chefs have 90 minutes to create one sweet dish from a selection of ten different ingredients including fresh coconut, passion fruit, white chocolate and rum. Without recipes to assist them, the chefs must think on their feet and dig deep into their culinary knowledge if they want to show the judges they have the all-round skills to take them forward in the competition. At the end of the round, two chefs will be sent home. The four remaining chefs face a test that has seen even the best crumble under the pressure as they cook a two-course menu of their own design to be scrutinized by three of the UK's most experienced food critics. They have just one hour and fifteen minutes to turn out four perfect portions of their main course and four of their dessert. Get it wrong and it could spell disaster, but get it right and the critics could note down a future star. Only the three chefs who can hold their nerve and impress critics and judges alike will make it through to Knockout Week and keep their dreams of lifting the Professional MasterChef 2015 trophy alive.